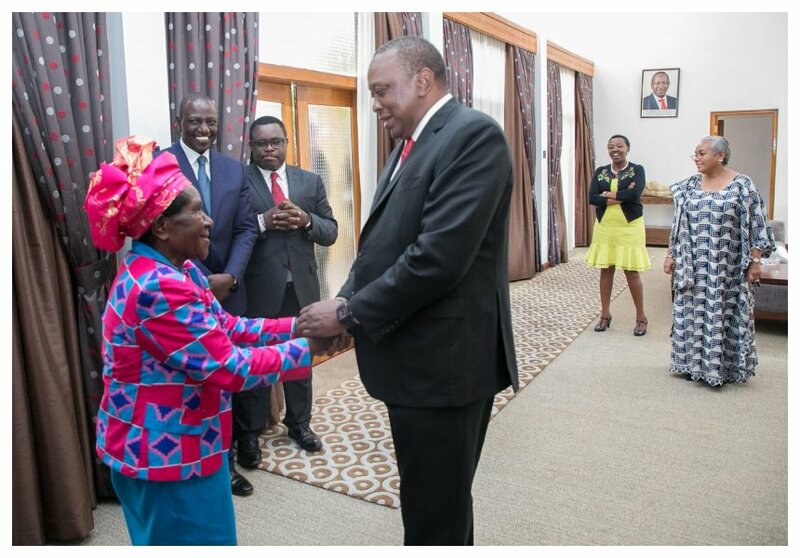 President Uhuru Kenyatta finally met the midwife who helped his mother Mama Ngina Kenyatta deliver him at Aga Khan Hospital on October 26th 1961. 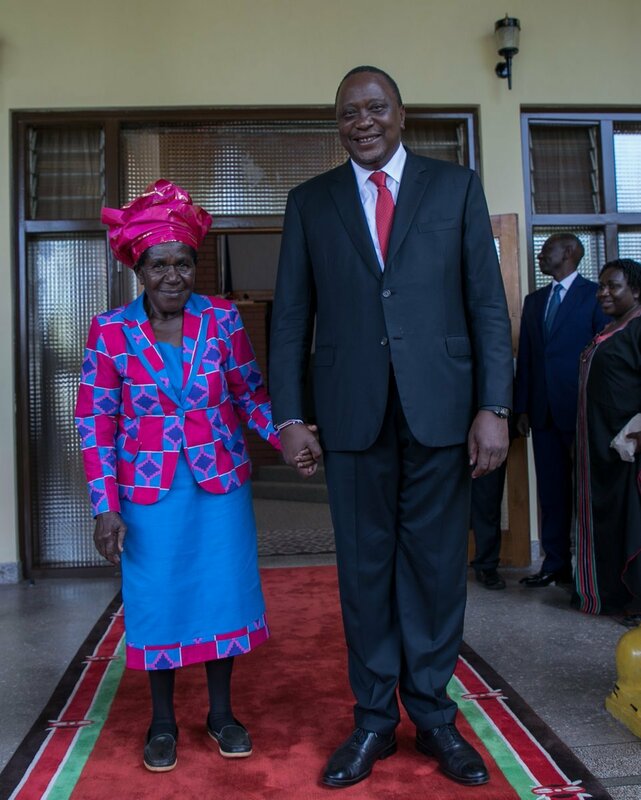 79-year-old Fredah Shibonje met Uhuru at Kakamega State Lodge on Saturday October 20th after Mashujaa Day celebrations at Bukhungu Stadium. The president had a conversation with Shibonje for about 20 minutes. 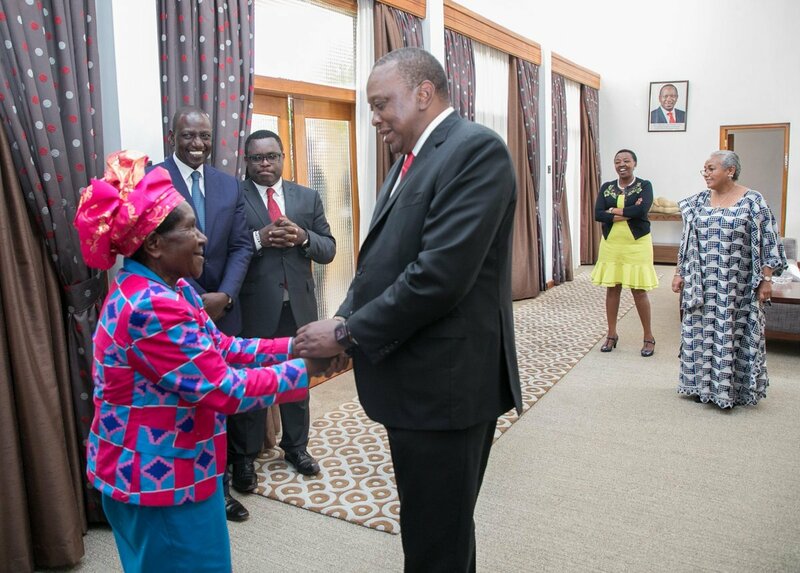 Uhuru’s wife Margaret Kenyatta, DP William Ruto and his wife Rachel and Senate Speaker Kenneth Lusaka watched from a distance as Uhuru and Shibonje conversed. In an interview with the Standard, Shibonje reveals that Jomo Kenyatta was accompanied by Jaramogi Odinga to Aga Khan Hospital on the day Uhuru was born. “I was informed by the hospital management, the two men were Jomo Kenyatta and Jaramogi Oginga Odinga, a family friend. My client delivered a bouncing baby boy. I was overjoyed when I held the baby. I separated him from his mother and did all the required duties to ensure he was safe before returning to his mother to perform the remaining part of the midwifery exercise,” said Shibonje.